The 18" Wesco Boss boot in black is the perfect match for every tall motorcycle rider on the road. Many riders have problems finding a good, high-quality boot that will last a long time. 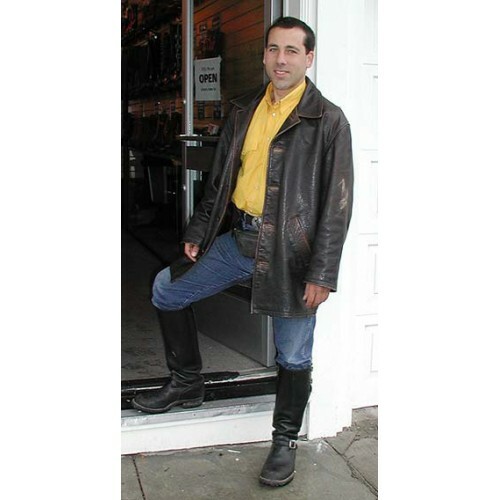 Wesco prides itself on producing leather boots that hold up under just about every possibly condition you can imagine. 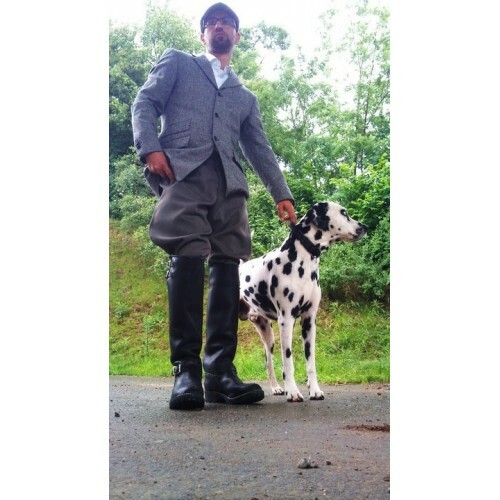 These tall knight-like boots can function both as motorcycle boots and as work boots. Whether you are shifting gears, working with hot metal, or more, these engineer boots will keep your feet and legs safe with its 18" inch height. Not only are they practical for work, but they are comfortable as well. The 18" Boss boots are leather-lined; so you will feel comfortable inside them. Comfort is not the only thing the 18" Boss has going for it. It contains a Stytherma counter as well as PORON performance shock absorbing removable cushion inserts. The beds of your feet will never be more comfortable! You can feel comfortable hitting the highway with the Wesco Boss boot adorning your feet. In addition to all these features, this boot also contains a non-corrosive, slightly arched, steel shank, which will help you bear loads in any situation with its ability to prevent injury. The hot sun bearing down on you can often cause sweating issues, but this is no problem for this boot, as it comes with a sweat-resistant full leather insole. This boot was built for the tough times. It also comes with a 100 Vibram lug sole for better traction. You'll never have to worry about missing shifting gears or slipping at the work place in these. Motorcycle riders the world(and road) over swear by this boot as their main riding boot. 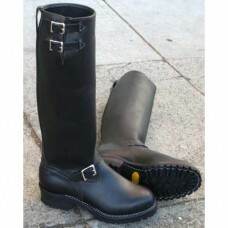 Although we try to keep popular sizes in stock, your 18" Wesco Boss Boot could be a special order. If we need to order them, expect delivery a time of 12-14 weeks. If we do not have your size in stock we will take 5% off of your boot order for this boot in lieu of your wait time for manufacturing!